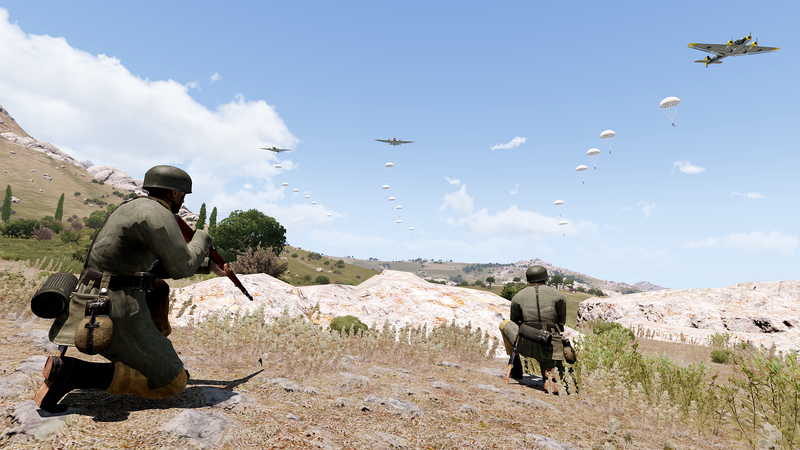 Fallschirmjäger update originally aimed to balance the capacity of both US and German faction by adding airborne troops to axis. 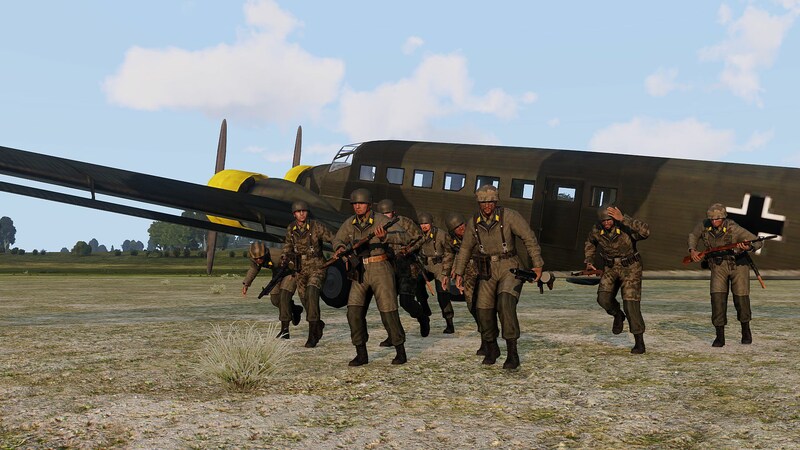 It turned into a complete german themed update when we decided to add more than just a plane to the faction and create a real possibility to play as Fallschirmjäger units. 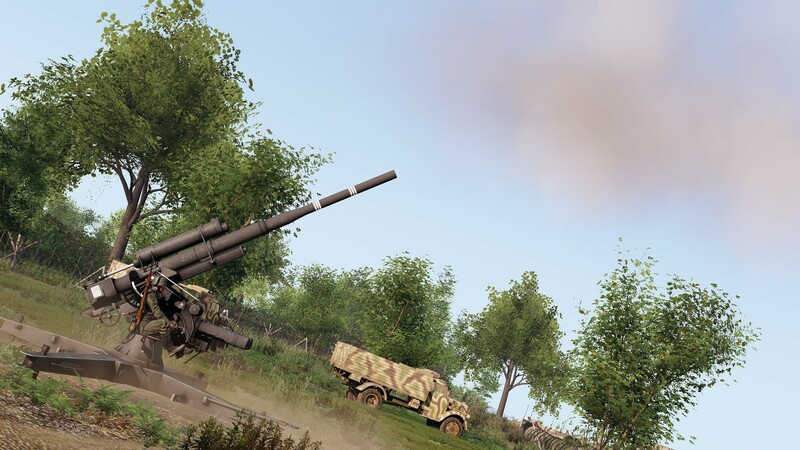 This update therefore adds many individual gear, 3 new german vehicles, 5 new german weapons, 1 new terrain and improves many already existing assets as well as all summer vegetation which will look much more realistic now in term of lighting. Updated airdrop showcase by Jaki! Pella Region Greece by swurvin! Updated IF Omaha by DontShootMe! Major upgrade of IF vegetation close and distant visuals by Reece! 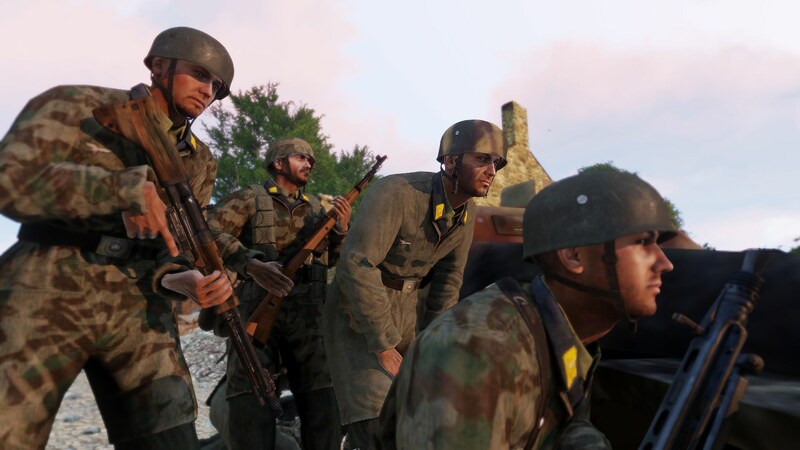 Fallschirmjäger faction including 4 uniforms, 3 new vests and about 10 helmets variants. Improved German M42 helmets textures. US airborne mohawk hair cut (glasses/NVG). Flak 36 - 88mm gun by Vinc3r! FLAK system by magicsh0tz and optimization by Adanteh! LeFH18 artillery gun originally made by I44 and refurbished by Reece! New Panzer IV H commander 3D cupola thanks to petrtlach from CSA38! FastPatrone 30, PanzerFaust 30 and PanzerFaust 60 - thanks to Loutre! New G33/40 model thanks to petrtlach from CSA38! 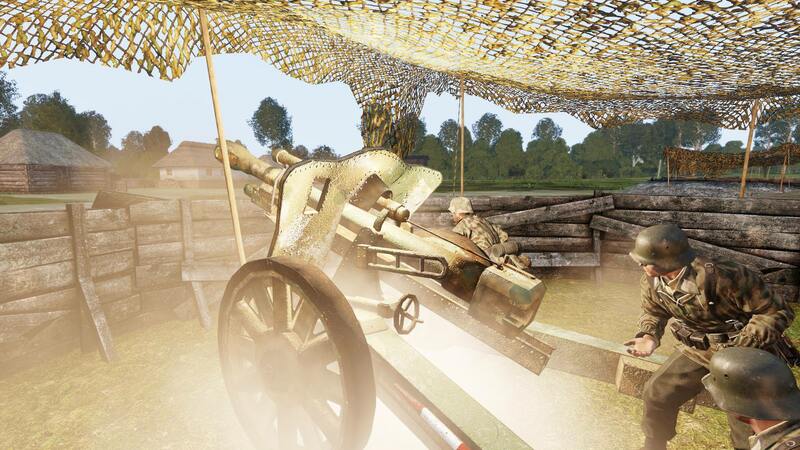 G41, G43, MP38, MP40, STG44 and Panzerfaust new animations by GSTAVO!